Volumetric Technologies piston fillers & piston depositors all start with our innovative product pathway that allows Volumetric Technologies Horizontal and Incline Series Machines to fill and deposit your products at higher speeds. At the same time, our equipment maintains neatness and precision in your product lines. We configured our piston fillers to deposit accurate amounts of liquids, chunky soups, sauces, and solid food every single time. As a result, our piston fillers and depositors deliver the highest product fill accuracy, with the lowest level of product degradation in the industry. Spills, drips, and container overflows may be common in food filling lines, but not when you use piston fillers from Volumetric Technologies. What’s more, your staff will have more time on their hands as our equipment doesn’t need looking after every minute of the day. We make sure our machines do as they should: Enhance your process so your workers can be free to perform other, more important tasks. 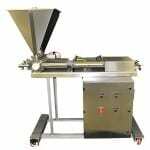 Our Piston Filling Machines are constructed using 316L stainless steel and top-quality USDA/FDA approved materials. All piston filler models from the 1590 through the large 3045 incline series are offered in single or multiple head designs. We also make them available for various applications and industries. Tell us what you need, and we’ll discuss the best ways to integrate our machines into your current line. 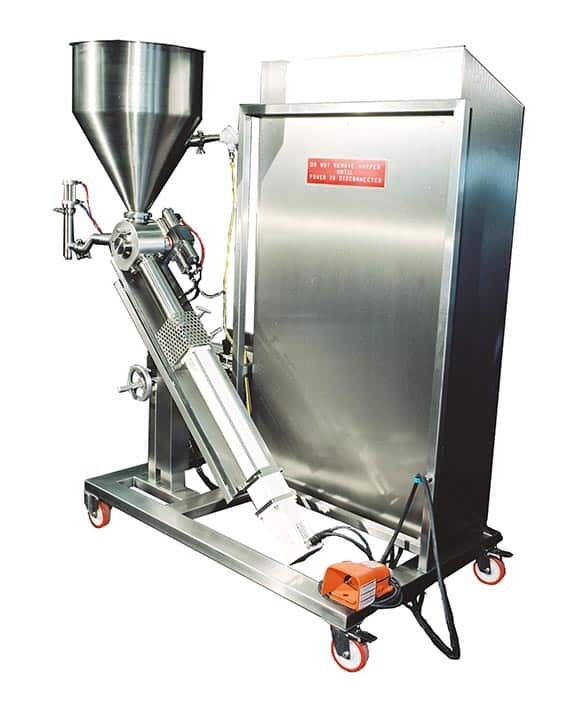 Piston Filler/Piston Depositors can be used in conjunction with many automated lines to increase production and improve product portion control. With product waste kept at a minimum, you can maximize your product and save on costs. 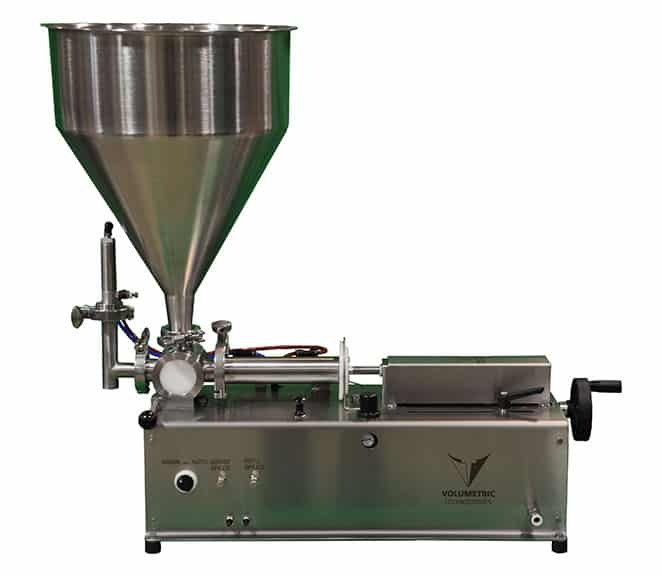 As industry innovators, Volumetric Technologies Piston Filler / Depositor Machines fill and deposit your products at higher speeds, delivering the highest product fill accuracy with the lowest level of product degradation in the industry. 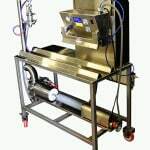 Ideal for startup bakeries, commissaries, and other production environments, Volumetric’s durable Portable Bench Top Piston Fillers have numerous dispensing nozzle options are designed for ease of use and engineered for accuracy. 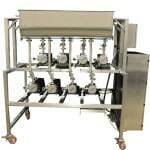 There are many benefits for Servo Controlled Piston Filling Machines. 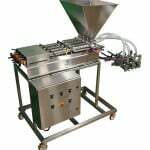 Servo fillers feature incredible accuracy and precision and can be used in conjunction with Cup Machines, Bottling Lines, Pie Lines, Tray Machines, Vertical and Horizontal. 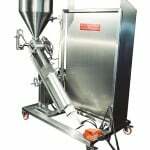 Our Pump Fillers reliably fill and package a wide variety of products that include food, dairy and bakery products. These Pump Fillers have many uses, but are mainly used in institutional kitchens and commissaries for soups, stews and ready to eat products. Available in a variety of pump styles, Servo Positive Displacement Pump Fillers can actually fill faster than a traditional Piston Filler Machine. PD Fillers are ideal for both Vertical & Horizontal Form and seal machines. 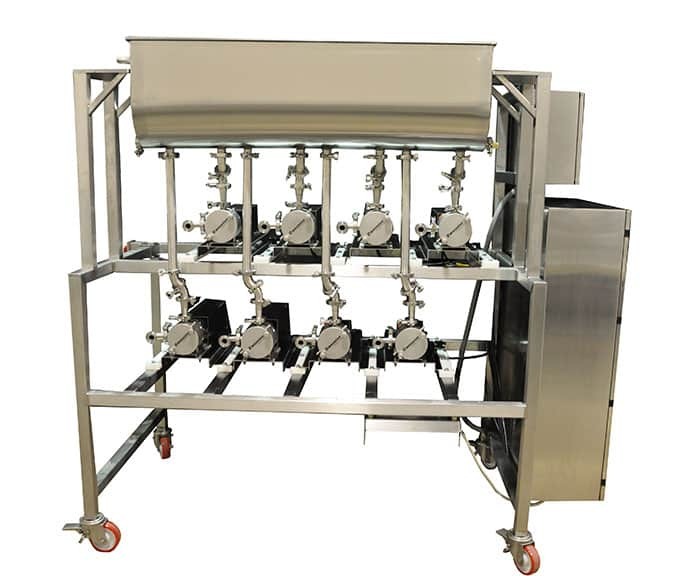 Constructed using durable top quality USDA approved materials, Volumetric Technologies’ 90 Series Horizontal Piston Filling Machines are the ideal filling solution for filling liquid and semi-liquid products with particulates. We are a long-time manufacturer of liquid piston fillers and piston filling machines, and we have worked with clients from a wide range of industries. Our team knows the necessities for any production line, and we’re ready to listen about your specific needs. Talk to our engineers for a seamless integration of Volumetric Technologies piston and pump fillers into your production lines. 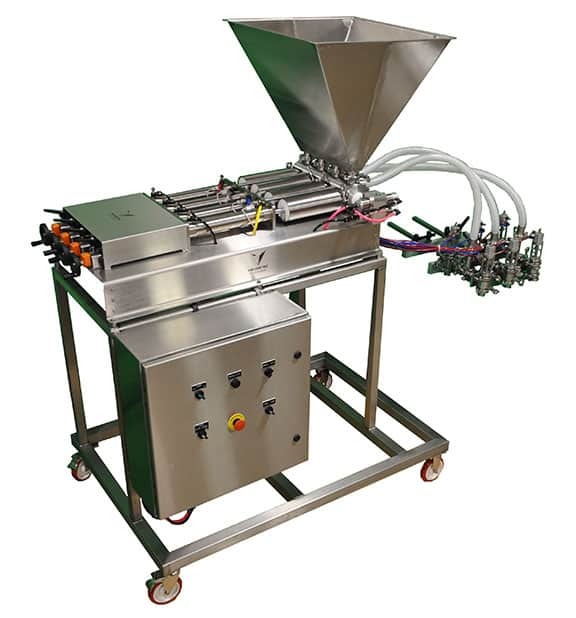 Our piston filling machines can be integrated into a fully automatic packaging line or used as a standalone semi-automatic unit. 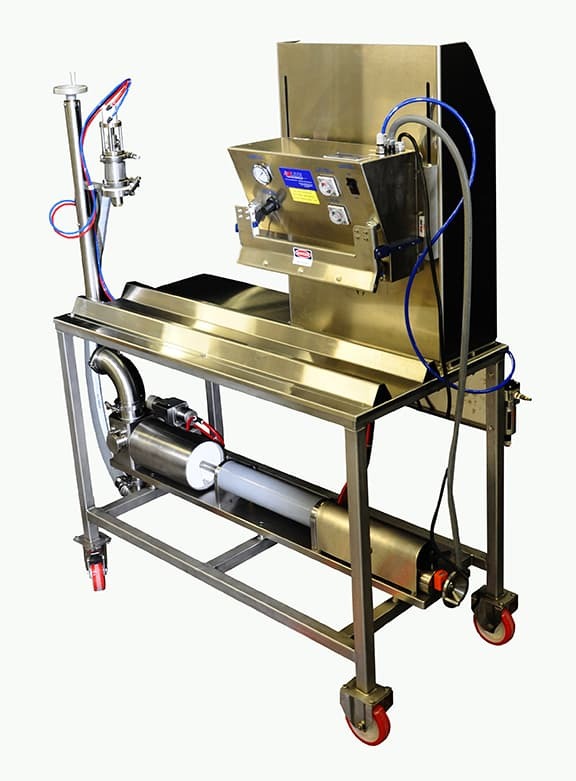 What this means is you may enhance your filling and packaging lines with Volumetric Technologies’ Piston Filler or Depositor; Portable Bench Top Filler; Servo Controlled Filler; Pump Fill Station; PD Servo Pump Filler, and Horizontal Piston Filler. You may use them in conjunction with cup machines. Our products are versatile, USDA-approved, and compatible with a wide range of products and textures. We designed them to be customizable according to your products’ specifications. Our volumetric piston fillers can be adjusted to accommodate fluids of varying viscosity, from liquids to thick creams. They can also fill/deposit products with large particulates and at any temperature. 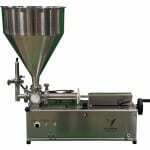 This type of line is typical among filling and packaging lines for oils, pasty fluids, and sauces. Volumetric Technologies piston fillers offer a range of compatibility that not all manufacturers of filling equipment can match – an achievement that we are very proud of.